Day 5: Montepulciano most impressive cellar visit and wine tasting, Farewell dinner. Day 6: Head home, or extend your stay. The group will meet at Florence train station at 3pm for the transfer. Upon arrival at the villa, a family member will welcome you and will show you to your room. You then will have time to unpack, relax, and maybe sit by the pool. In the early evening you are invited for a guided tour of the villa, led by your host. She will share with you the history and traditions of the house. Then, you will enjoy an Aperitivo before your first home made Tuscan dinner including the estate wine. Wake up in the Tuscan wine country and enjoy fresh homemade breakfast. We will drive through the magnificent countryside of Chianti to our first winery visit which is located inside a hilltop Castle. The vineyards that surround the hamlet form a site of outstanding quality and they represent the most evocative amphitheater of vines in all of Chianti classico. After tasting different wines we will have a short visit to the delightful medieval village Radda in Chianti. Next we are going to visit the world’s famous "Singing butcher." He strives to preserve centuries-old practices of meat preparation and quality, while adding his own unique twist on presentation. We will have the pleasure to have lunch in his restaurant and taste his creations including wine and Grappa. After lunch we will visit a small family-run winery where you will have a wine tasting in a spectacular backdrop. We will end our day by discovering a hidden gem, the fortified medieval village of Montefioralle and the unnamed capital of Chianti, Greve in Chianti. Tonight we'll have a light dinner at the villa (if your still hungry). Today it’s all about Brunello and Montalcino. After breakfast we will drive again through the beautiful Tuscan countryside. When people think of Tuscany, Val d’Orcia is what they picture in their minds. It is characterized by gentle, carefully cultivated hills occasionally broken by gullies and by picturesque towns and villages. Our first visit will be to a prestige winery north of Montalcino which producing outstanding wines that are highly rated. Next you'll have lunch in small village at a family owned restaurant. After lunch we will visit a winery located in the south of Montalcino so you can taste the difference. We will have a short walk in the town of Montalcino before heading back to the villa for dinner. This morning we will be departing for a visit to the beautiful town of Siena. Siena is distinguished by its medieval brick buildings. The fan-shaped Piazza del Campo is dominated by the Palazzo Pubblico, the Gothic town hall, and Torre del Mangia, a slender 14th-century tower with sweeping views from its distinctive white crown. We will have a guided walking tour, and after you'll have time for shopping and lunch. In the afternoon we will drive to a small winery located in a magical setting outside San Gimignano. 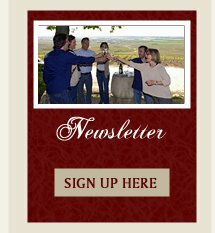 The winery is owned by a passionate young couple who left the big city to go back to their grandparents farm and continue the family traditions. We will spend a lovely evening cooking with wine and tasting different wines. Among them you will get to taste the unique white wine Vernaccia di San Gimignano. This wine is only produced in the area of San Gimignano. After breakfast we will drive to the hilltop town of Montepulciano. You will discover the most ancient and beautiful cellars in the world. A visit to this Wine Cellar is a journey throughout time and history dating back to Etruscan times. We will have a tasting of different Montepulciano wines, including the famous Vino Nobile. After the wine tasting you will have time to explore this picturesque town on your own and have lunch. In the afternoon, we will return to the villa for a cooking class followed by dinner to celebrate our wine days in Tuscany. Day 6: It's time to say Arivederci! Departure from the villa is around 09:00 am. We can accommodate private groups year round. Contact us! Price: $2995.00 per person in a double room. A deposit of $500 per person required at time of booking to guarantee the space. Balance of the full amount is due 90 days prior the date of departure. Your deposit is refundable within the first 30 days of your deposit, so long as you have booked more than 180 days before the start date of the tour. If you book within 180 days of the start date of the tour, your deposit is immediately non-refundable. 90 days or less before the start date of the tour, the tour is no longer refundable unless we are able to re-book another participant for the date/tour you are booked on. Food N' wine vacations, Inc reserve the right to re-calculate prices due to currency fluctuations.